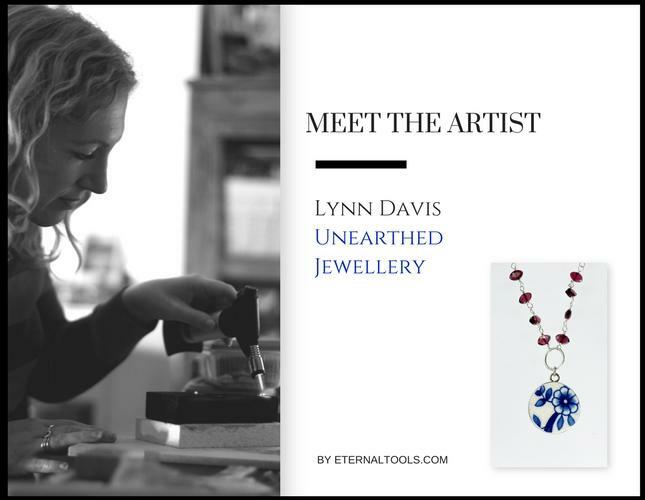 Eternal Tools had the pleasure of an interview with Lynn Davis of Unearthed Jewellery. 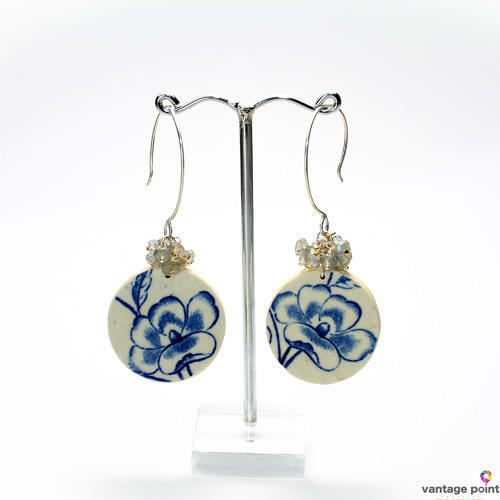 Lynn re-creates beauty in her lost and found pieces of pottery shards. Each jewellery piece holds a story and a past which Lynn sympathetically up-cycles and re-purposes using various silversmithing and diamond tools. 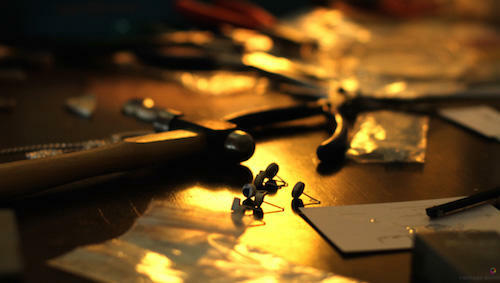 When did your interest in jewellery making begin, and who or what inspired you? I’ve been interested in jewellery as far back as I can remember. From making friendship bracelets out of embroidery thread as a child, to having a ‘Bead Lady’ at my 12th birthday party to teach my friends and I beading techniques. By my early 20's I was making wire wrap jewellery. I have always been motivated by the idea of forging an eclectic union of new and old, as well as raising awareness to reducing our footprint on the planet. Around the same time I enrolled in Vancouver Community College’s Jewellery and Design program where I made my first sterling silver ring, and was hooked. The UK Pottery industry has been a clear inspiration in my current work. I live in Stone, in Staffordshire at the edge of the Potteries, and there is a lot to be found - on the local common, along the canal, or whilst out walking. My collection grew to include shards of pottery found in other counties and places such as the seaside. I love reconnecting with the craftsmen of the past and ensuring their stories aren’t lost. I do this by up-cycling their work and re-purposing it. 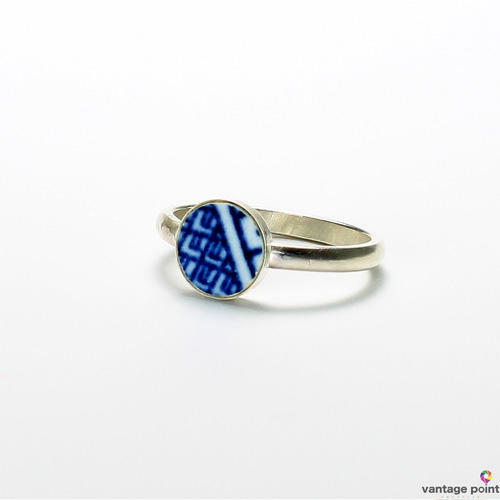 Each piece I make comes with the provenance I have been able to uncover, connecting you to the land and history of the shard. Do you have a studio space you work from? We have a spare room in our house that my husband and I share – two walls have all his books and a reading chair, and two walls keep my jewellery tools and equipment – however, for safety’s sake, the soldering and drilling tools have spilled over into the conservatory. I love the light and the feeling that I’m working almost outside. I have a strong connection to the outdoors so finding shards within nature is always lovely, whether I find them on the common or by the ocean. 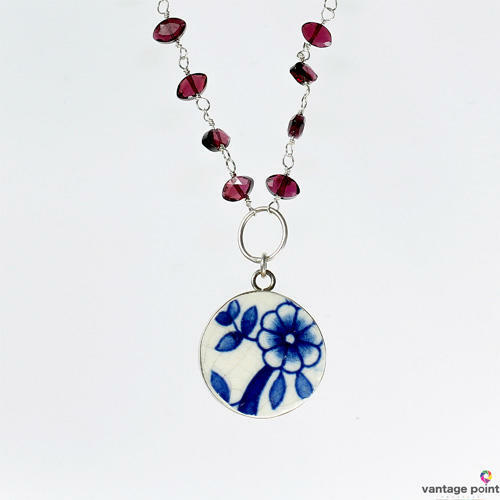 In terms of making the jewellery, I enjoy the challenge of bringing metal and pottery together to make something wearable that has its own story. I’ve recently switched to using silver wire and sheet that is made from 100% recycled scrap silver. This is really important to me, as I am always looking for ways to reduce my impact on the planet. I use non-toxic, food-grade materials in the pickling process, and re-purpose discontinued fabric boards for my packaging. In terms of new techniques, I’m fascinated with granulation at the moment. I started using the process on a small collection of found bits of silver and copper that I’d collected over time – mostly bits of earrings that have come apart and been crushed into the road or pavement. It will be forming a new ‘subset’ collection of Unearthed/Found Metal. However, my supply of found metal is limited, so the collection may be quite limited! I have two favourite pottery shard necklaces that I have kept -the first necklace I made used a shard I found on the Stone Common; the second I made using a shard from a piece of broken crockery I inherited from my grandmother – both pieces inspired the whole idea behind Unearthed to up-cycle found shards into jewellery, with the intention of connecting wearers to the shard’s story. My favourite piece that I’ve created for others would have to be a necklace I created using a shard of sea pottery from Beaumaris in Anglesey. My client went there on holiday with her family for over 50 years and wanted a custom piece made. Aside from loving the design we agreed on, I love the sentiment and story behind the shard and the connection it creates for her! On the 19th, March 2017, I will be exhibiting Unearthed at the Derby Spring Home, Food and Gift Market, which is happening just before Mother’s Day. I've just started doing the monthly farmers markets at Rode Hall in Cheshire and will be doing those on a regular basis - I will be there in April. I will be attending more shows as the year progresses . My website is the best place to find out where I will be showing my work next. I’d have to say my Dremel as I use it both to up-cycle the pottery shards as well as in the silversmithing process. 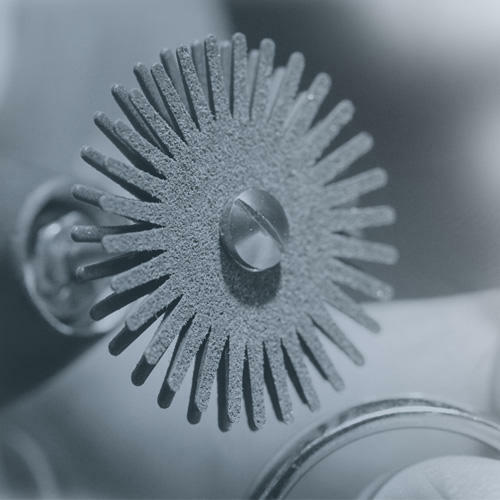 There are so many useful accessories that save time, from diamond drill bits and burrs, to eveflex polishing discs. My small diamond files are also extremely important, and I really love my diamond hand polishing pads and sheet from Eternal Tools for smoothing the edges of the pottery shards. What's the best piece of advice you can give to someone wanting to start up their own craft business? When you work for yourself, there is no one to tell you when to quit for the day. Personally, I love the creative aspect of what I do so much: shaping the pottery, silversmithing the jewellery together, as well as researching the shards. I have a hard time actually stopping work for the day! I’ve had to create my own hours and keep to them to ensure I maintain a good work/life balance. Another way of achieving this, is asking for help. One of the great things about having a creative business is the close community of other creative types that you will meet. Everyone helps everyone. 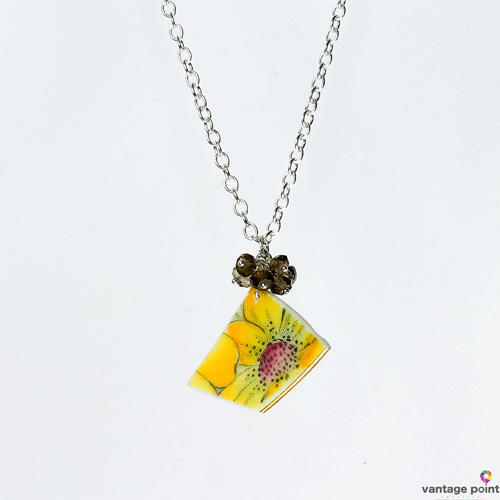 Whilst I am an amateur photographer, product photos of jewellery are really tricky to do properly. I was spending a lot of time taking my own shots. Adam Marszalek of Vantage Point Creative has taken some fantastic photos for me recently, and I am really pleased with the results! I’m currently working on a few commissions for both Valentines Day and Mother’s Day. Also, I’ve recently been gifted several bits of pottery from around the UK. All of them have some fantastic patterns and I’ve been really excited to up-cycle them all! Tell us one thing about yourself that we don't know. Whilst I was born in Canada, my family tree ties me back to the UK - some of my relatives used to live in Staffordshire, in Yarnfield and Newcastle-under- Lyme. I also have family ties to Manchester, Hampshire, Hitchin and various places in Wales. My grandmother and father moved to Canada just after the war - my grandmother was a war bride. Though he’s British, I met my husband in France on a cycling trip, and wound up bringing the family tree back over to the UK again!